The first time I went camping I was hooked. I was also woefully unprepared and spent a lot of money unnecessarily. I bought things I didn’t need. I forgot essentials. The second mistake meant disrupting the trip with excursions to the supply store at the campground and Walmart. I quickly learned that the campground store is a quaint little store with friendly staff, and truly rural feel. Unfortunately, you pay two to three times what you would elsewhere for that ‘ambience’. Fast forward to now; I’m an avid camper. I’ve mastered what needs to brought along, and what can and should be left behind. If you’re going camping for the first time, learn from my mistakes. Consider this a check list of sorts. Be Honest: What Kind of Camper Are You? Remember that camping is not a contest. If you’ve taken a camping trip and enjoyed yourself, you’ve had a successful trip. The key to that success is honesty. Are you an athletic type who enjoys challenging themselves physically, and being outside in all sorts of weather? Then, you might look into backpacking, extreme weather, and survival camping. 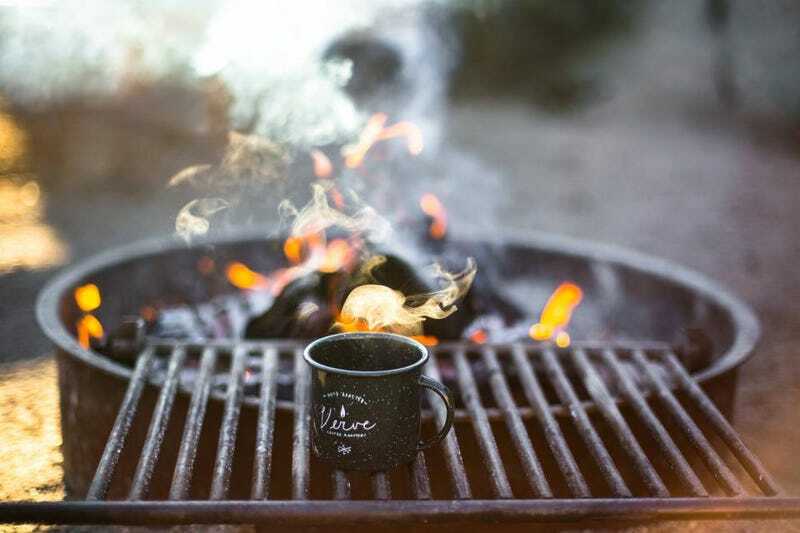 If your idea of a good time is lounging with a good book, then you might consider a campground that rents cabins or RVs so you can enjoy the camping experience with all of the creature comforts of home. In any case, the best choice for first time campers is almost always car camping at a campground. You’ll have access to your car if there’s an emergency or you realize you’ve forgotten something. Campground staff will also be available to assist and advise if you have questions. Once you’ve gotten comfortable with this, you can challenge yourself with some more adventurous trips. The last thing you want is to be miserable on your first trip because you got in over your head. Tents are sized according to the number of people who can comfortably sleep inside. These sizes are an utter lie, unless you are camping with people who are exceptionally petite and do not move while they sleep that is. In my experience, you need significantly more space than advertised. Because we use tents for activities like playing cards and board games, I generally use a tent that’s double the size we need. So, if I’m camping with four people, I’ll bring an eight person tent. Here are some guidelines for selecting a tent. When it comes to quality, safety, and amenities campgrounds really run the gamut. Do your research ahead of time. There’s nothing more miserable than spending a night in a campground that’s a poor fit for you. Start with the campground’s website and any brochures you can find. This will give you great information on campground rules, the campsites that are available, and activities you might enjoy. Is this a family friendly or more of a party atmosphere? Have people witnessed drugs, theft, fighting, and other issues? Are picnic tables, playgrounds, and other amenities well maintained? Are trails and fishing ponds in good condition? Are campsites level and equipped with fire rings and a water source? The more you know, the better able you’ll be to pick a campground that you will enjoy. By learning as much as possible about the campground’s rules and facilities, you’ll also be a much better neighbor to other campers. Most campgrounds don’t have laundry facilities. Even if they do, who wants to waste time on that task. Save it for when you get home. Instead, pack plenty of clothing so that you can simply toss things into your dirty clothes bag and change into something clean. Next, never underestimate the type and amount of clothing you’ll need. Here are a few things to keep in mind. Consider your activities: Will you need a swimsuit or water shoes? Trust me, I’ve taken one too many trips back to town to buy clothing that I failed to bring along. You’ll rarely regret bringing something you didn’t need, but missing an important piece of clothing will bring your trip to a grinding halt. Let’s be honest. Sometimes things just go wrong. You may end up at a campground where you simply don’t feel safe or comfortable. A thunderstorm could roll through revealing that your tent is not nearly as water tight as advertised. Whatever the case may be, it’s better to cut your first trip short than to suffer through a situation where you are miserable. Before you go, make an exit plan. Know how to quickly take down and pack up your gear. Take down the names of motels in the area before you begin your camping trip. These may be costly, but when the chips are down, they can be a better option than staying put or driving all the way home in the middle of the night. You can always try again another time. Life jackets for all kids. No exceptions! This cannot be emphasized enough. Water is great for keeping kids and teens occupied, adults as well. However, adult supervision is always necessary. Safety equipment like life jackets are not babysitters. Please disavow yourself of any idea that you’ll catch your own fish and forage your own fruit. That’s not going to happen. Sure, you might catch a fish big enough to cook. You might also run across some wild berries (but you won’t eat them unless you can positively identify them!). Still, you’ll need to plan your meals and bring your own food. Peanut butter, jelly, sandwich meat, and bread. Finally, always keep food safety in mind. Store raw meat so that it doesn’t leak onto other foods. Use plenty of ice and change it out regularly. If you doubt that something is fresh and edible, always throw it out. Speaking of throwing things out, food should be thrown into containers with tight fitting lids to keep animals at a safe distance. If you’ve never pitched a tent, baited a hook, put on a life preserver, started a propane stove, or done any other necessary task, don’t wait until you arrive at your campsite to to figure things out. Chances are, you’ll be grumpy and frustrated, and the other campers you’ve brought along will be impatient. Practice this stuff at home. You’ll get things set up quickly when you arrive, so that everyone can start enjoying themselves. This one’s short and sweet. Those cool hiking boots you bought for your first trip? They’re actually a great purchase. Proper shoes are key to having a good time. Just be sure you’ve broken them in before you go. Once you have the equipment you need, camping can be a fun and relatively inexpensive hobby. By following the tips here, you can ensure that your first trip is as enjoyable as possible. From there, you can plan even more camping trips in the future.